Life is short – Eat cake. Indulge in a tantalising selection of exquisite sweet treats, petite savoury delights, and dainty ribbon sandwiches, all freshly made in-house and served on beautiful vintage tiered trays. Set amidst spectacular rural surrounds, Teavine House at Tallebudgera Valley is the Gold Coast’s premier dedicated venue offering European-inspired traditional high tea served on an eclectic array of fine china, lovingly sourced from around the world over many decades. 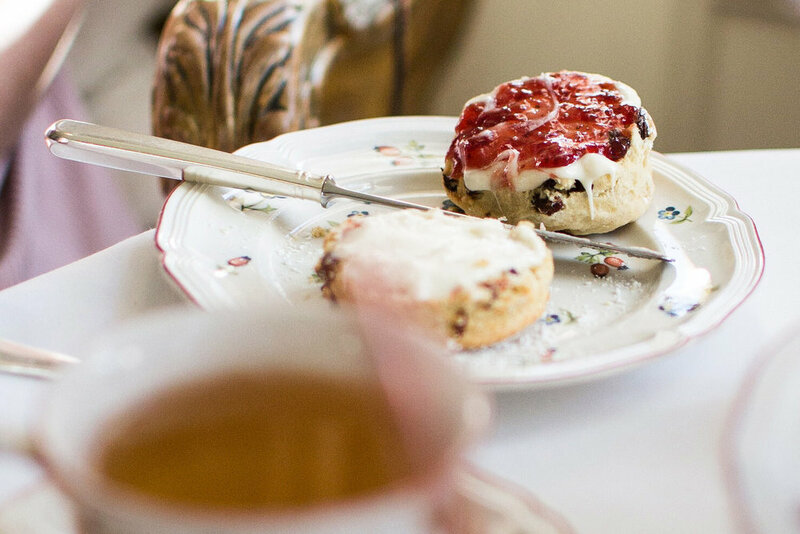 Equally elegant and deliciously decadent, high tea at Teavine House offers a delightful experience of fine food, artisan tea and great conversation, and also features our signature miniature scones with housemade strawberry preserve and fresh cream. Gluten-free and vegan options available. Please advise of dietary requirements when booking. The tradition of high tea evolved from a cheeky afternoon meal of tea and bread, snuck into the chambers of the Duchess of Bedford in 17th Century England to stave off hunger as she waited for her man to return home for the late evening meal. As influential young men discussed politics over increasingly long lunches, stylish women of the day grasped afternoon tea as a social outlet to discuss ‘tea business’ – topics not deemed fit for conversation in mixed company. High tea has transcended history to become one of today’s most popular and enduring ways to break from routine and share cherished moments with family and friends. Seatings are available from Thursday to Sunday for groups of 2 to 35 people – ideal for your next celebration, or making a special occasion of your next social catch-up! Teavine House specialises in hosting bridal showers, baby showers, birthday parties, and other events. Private garden and patio settings are available with no additional venue hire charge for groups of more than 10 guests. High tea reservations are essential. Please call our bookings manager from Thursday to Sunday, 9am to 4pm, on (07) 5533 9889 or complete the contact form by clicking the link above. BYO champagne/wine/beer welcome. Strictly no spirits please.